Jeanne Sauvé Foundation | Introducing the new 2017-19 Sauvé Fellows! Introducing the new 2017-19 Sauvé Fellows! The Jeanne Sauvé Foundation is bringing together these 12 bright and dynamic young thinkers from around the world to embark on a remarkable and unique public leadership journey focused on a timely theme, Public Leadership for Culturally Diverse Societies: The Inclusion Imperative. This international, interdisciplinary group will work together to find public leadership strategies to help culturally diverse societies thrive. With backgrounds in the arts, advocacy, communications, education, foreign affairs, governance, human rights, journalism, law, politics, social innovation and other fields, our new Fellows will refine their leadership skills to take on some of our world’s most intractable challenges. Our incoming Fellows will explore the inclusion theme through the lens of four pressing challenges facing diverse societies: root causes of conflict, radicalization, violence prevention and post-conflict reconciliation. They will ask tough questions and take bold action to re-imagine the role of public leadership in supporting inclusion and social cohesion. 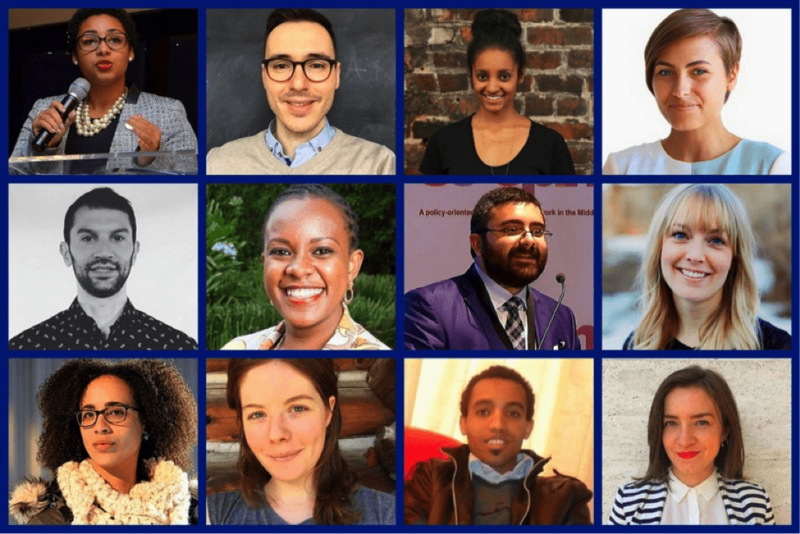 These 12 inspiring young leaders join our global network of Sauvé Fellows. We are thrilled to welcome them to Montreal this summer! Once again, a warm thank you to the hundreds of qualified individuals who applied to the 2017-19 Jeanne Sauvé Public Leadership Program. We sincerely hope that you will find other opportunities to pursue your important visions of change, and that you will continue to be leaders in your fields.